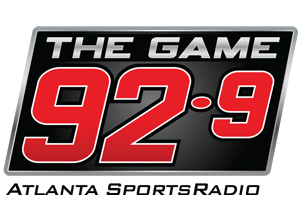 CBS Sports “92.9 The Game” WZGC Atlanta afternoon co-host Mike Bell was suspended following a Twitter rant bashing ESPN for utilizing Jessica Mendoza on their coverage of Tuesday’s American League Wild Card Game. While this tweet was deleted, Bell kept many others up including a partial apology late last night. News of Bell’s suspension, rumored by the Atlanta Journal-Constitution to be for two weeks, came following a tweet by the NFL’s Atlanta Falcons condemning his message. The Falcon’s radio flagship happens to be WZGC. Embarrassed by Mike Bell’s comments, given he’s on our flagship station. Inappropriate and disappointing. Mendoza, a former Olympic Softball player, joined ESPN’s Sunday Night Baseball crew in August after Curt Schilling was suspended. Despite getting critical praise for her work Bell was not alone in using sexism to attack Mendoza. Mike Bell wasn’t even the only major market radio host to tie ESPN’s use of Mendoza on the game to political correctness. WEEI Boston morning hosts John Dennis and Gerry Callahan got into a tiff with NFL Network/Fox Sports Radio’s Rich Eisen over it. I thought Mendoza did an excellent job. This is yet another reminder of the perils of social media for those in the industry who might not realize the ramifications of what they write, even if it’s meant as humor.